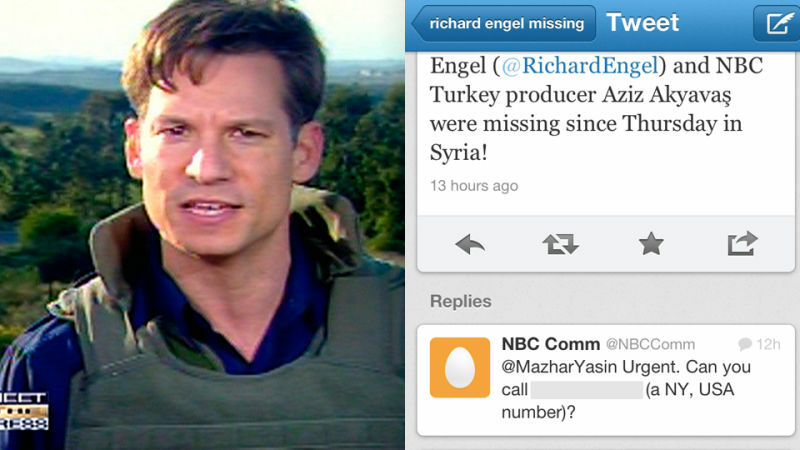 NBC News chief foreign correspondent Richard Engel has gone missing in Syria, according to Turkish news reports. The reports also say that Aziz Akyavaş, a Turkish journalist working with Engel, is unaccounted for. NBC News has been successfully keeping Engel's status subject to a news blackout—one to which Gawker agreed until now—for at least the past 24 hours. Turkish newspaper Hurriyet is reporting that Engel and Akyavaş were last known to be in Syria and haven't been in contact with NBC News since Thursday morning. The news has been reported widely in the Turkish press over the past 24 hours, including by Turkish news channel NTV, which presents itself as an international partner of MSNBC. It's also been widely distributed on Twitter. But NBC News has been asking every reporter who inquires about the report to participate in a news blackout. It has also taken to Twitter and asked people who repeated the Turkish reports there to take them down. You can see here a screengrab of the Twitter account @NBCComm asking a Twitter user who had mentioned the reports to urgently call a cell phone number (that account has since been taken down). NBC News declined to comment for the record about Engel's whereabouts, but asked Gawker not to report what it characterized as "rumors" about Engel's current status. The Turkish reports have been referenced on Twitter by Slate's David Weigel, Michelle Malkin, former MSNBC anchor David Shuster, and hundreds of others. RT @francesmartel: Oh no. Prayers. RT @sallykohn: My thoughts are with NBC's Richard Engel, a great reporter, missing in Syria. Original report from Turkish media... Praying its wrong. RT @sallykohn: My thoughts are with NBC's Richard Engel, missing in Syria. Chinese newswire Xinhua, Daily Kos, and Breitbart.com have also both repeated the Turkish reports. 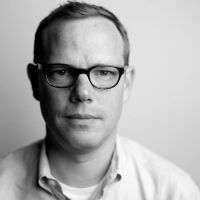 When New York Times reporter David Rohde was kidnapped in 2008, the Times successfully maintained a months-long news blackout about his condition by arguing that the militants holding Rohde had issued specific instructions to keep his condition quiet (those claims were later undermined after Rohde escaped). An NBC News spokeswoman could not offer any detail about Engel's condition or status. Update: Some readers may be interested to read a more detailed explanation for why we decided to publish this post against NBC News' wishes. I supplied such an explanation to a commenter here; I've also pasted that reply below. The rationale for the blackout was offered in off-the-record conversations, so I can't present their argument here. But I will say this: No one told me anything that indicated a specific, or even general, threat to Engel's safety. No one said, "If you report this, then we know, or suspect, that X, Y, or Z may happen." It was infinitely more vague and general than that. As I wrote in the post, when the New York Times maintained a blackout about David Rohde, the rationale was clear: I was directly told that the Times had reason to believe that the people who had Rohde would harm him if news got out. There was nothing approaching that level of specificity or argumentation here. I would not have written a post if someone had told me that there was a reasonable or even remote suspicion that anything specific would happen if I wrote the post. Also: There was in practice no blackout. Xinhua and Breitbart had published English language accounts. There were probably like 100 posts to Twitter per minute about him. This was a situation where the information was freely available on the internet, and in the region—these are large Turkish outlets reporting this information. It was out.